I always find it difficult to buy gifts for my husband, Dad, father in law etc... at Christmas time. I'm always on the look out for something different other than the usual aftershave, slippers, smellies combo that I usually buy. I have put together a gift guide of a few gifts and gadgets that have caught my eye recently and don't forget there is still time to order online for pre Xmas delivery so get ordering! First up I found some wonderful gifts from the Lords gift online gift shop. My husband and father-in-law both like the cricket and I was surprised at the good range of gifts they had. As well as clothing, gifts and memorabilia they also do experiences such as bat making, afternoon tea and more. I found these fab gifts in their Christmas gift ideas section. 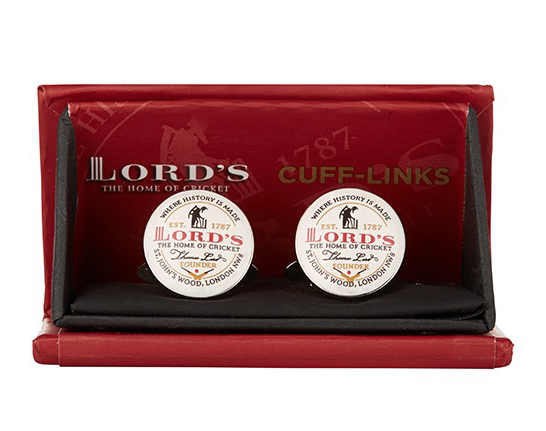 First of all I found these Thomas Lord cufflinks which look great. 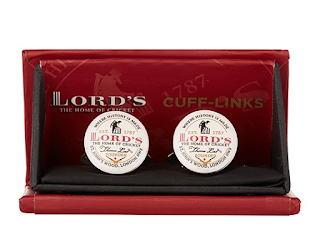 They are a pair of silver-effect cufflinks bearing the Lord's badge on the face and EST. 1787 on the link. Priced at £15 which is great value and they come in a smart box to keep them safe when not in use. Thomas Lord badge cufflinks, £15. Next I found this neoprene bottle badged bottle cooler. Ideal for keeping your beverage cool on a hot sunny day watching the cricket. Very reasonably priced at £5 and something that can be very handy for when your beer needs keeping chilled! 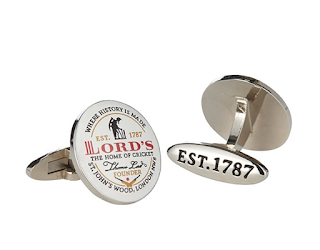 Lords badged bottle cooler, £5. I had to include this great Future Stars full double plastic cricket set. Ideal for the garden or on the beach. 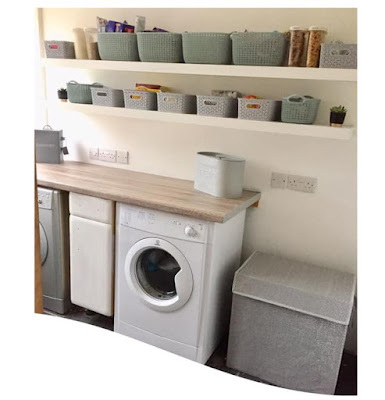 We were very kindly gifted a set to review and it has already been put to full use in the garden and with the handy carry bag it can be packed away. The children also took it to their grandparents for a game too. It is very easy to assemble and the bats are very easy to use even for my 4 year old. Priced at £30 it will last for ages and will see many competitive games of cricket amongst the family in the garden and on days out. 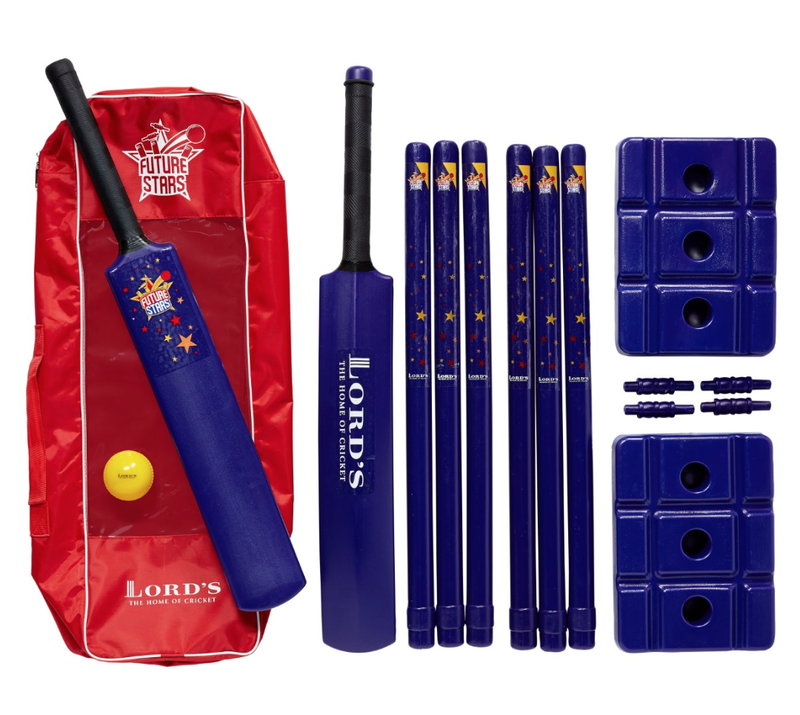 Lords full double plastic cricket set with carry bag. 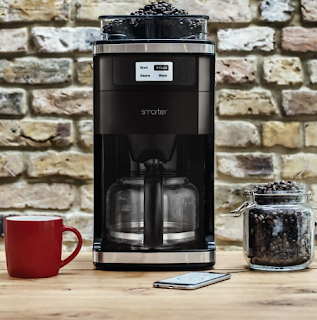 As a main gift my husband would absolutely love this Smarter Coffee wifi coffee machine. Features include; Control your coffee machine with your smartphone or tablet, Grind and brew fresh coffee beans automatically, on demand, Adjust the strength to suit your own personal tastes, Brew a single cup or 12 at once with the included Smart Carafe, Includes 3 interchangeable panels to match your kitchen decor. Currently on offer at Firebox with an amazing 45% off making it £98.99. My husband would love to wake up in the morning and get his morning coffee on the go without having left his bed! 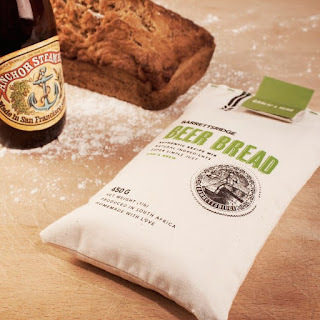 I found this beer bread set on Firebox too. Combining my husbands love of beer and a bit of cooking I thought this was a great gift to get him into the kitchen and get hands on with a bit of baking. With either chilli and garlic, Garlic and herb or Original flavour just add a beer (not included) to the dry ingredients and bake. It couldn't be easier. This costs £9.99 so a great price as a small gift for anyone who would love to bake bread with beer! Last of all its the socks! Everyone always gets socks for Christmas but how about treating someone throughout the year by buying them a sock subscription for a length of time of your choosing. 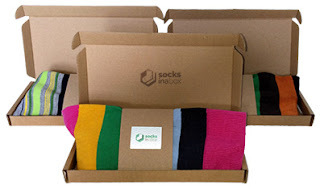 Socks in a box offers a sock subscription service where they deliver a pair of socks a month for the length of time you subscribe for. With offerings such as the fun and casual 'Dude' style to the All Alpaca style. You can choose which ones fit best to your recipients tastes and get them sent out. Prices start from £19.99 for 3 months with lots of styles to choose from. So whatever you decide for the man in your life I hope some of these ideas help. Have you bought your presents already? Or are you a last minute shopper?